Lyndhurst is a hidden gem behind a long stone wall on the A167Durham Road, Gateshead and very close to the Angel of the North. So hidden that more than one driver had to turn the car round in a tiny cul-de-sac alongside the green, or believed the postcode and finished up a few streets away. Once a street parking spot was found and the entrance discovered we were warmly greeted by Presidents Keith and Florence and invited to enjoy the buffet. 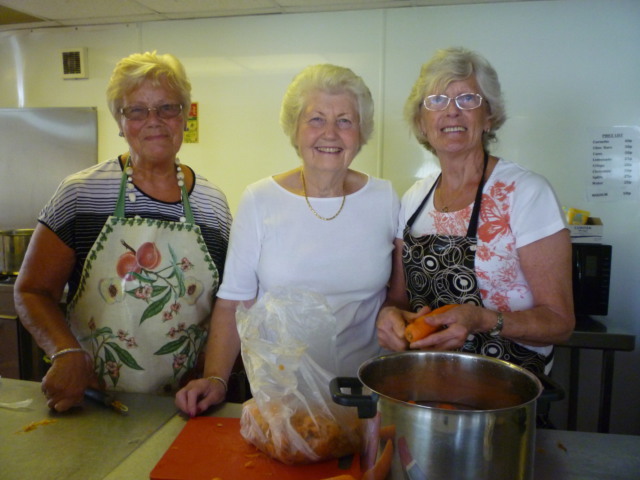 Thank you to Club members Anne, Trish & Beatrice who worked all day to provide the buffet and the very enjoyable dinner after the game. 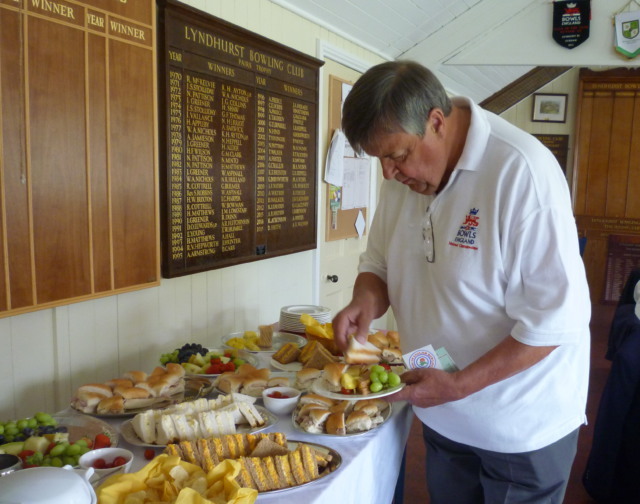 Our visit to Lyndhurst was part of their prize for being Runner-Up in Club of the Year 2015. As National President last year I had the pleasure of congratulating last year’s President George and his wife at the Men’s Dinner last February. As a member of Berkhamsted the winning Club of the Year, I enjoyed chatting about and comparing our two clubs during my afternoon with them. Lyndhurst raffled the sets of woods they won and used the money to provide their lovely new shirts at a discount to the members (and very modern and smart they looked too). The club members look after the lovely gardens; tiered with lots of bushes and paths and dotted with benches. They have mid-teens from the local secondary school for coaching sessions but haven’t gained any junior members from that, they may try a younger age group next year. After the photographs and official welcome the game commenced. 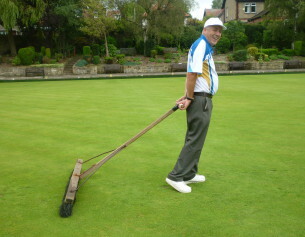 The grass looked a bit long and it was a bit of a heave at first but we must have got the hang of it because we beat the hosts over the 6 rinks by 25 shots. Plenty of laughter and banter on the green so all were enjoying the game whatever the score. Ten counties were represented and I think the club members were very impressed by the distances travelled by the Friends. Small bottles of wine were awarded to the top rinks for both sides and it was my pleasure to present the Lyndhurst with an engraved glass memento of our visit. 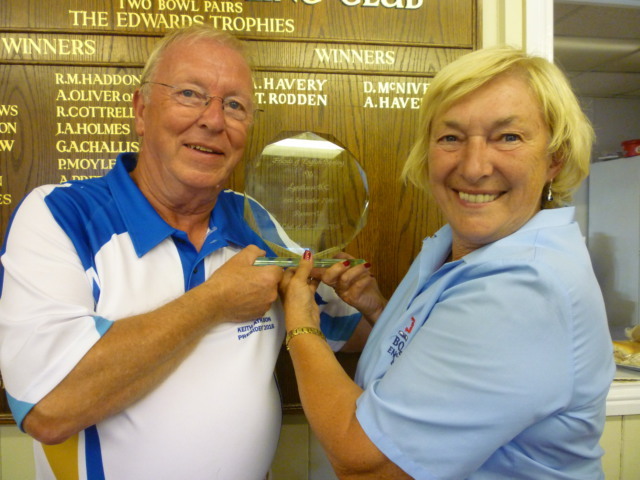 Captain of the day, Marcia Dunstone presenting President Keith with the runners up trophy. 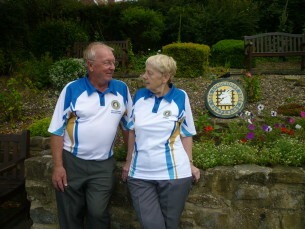 Lyndhurst has entered the Club of the Year competition again so I hope we will be able to visit them again in the future.